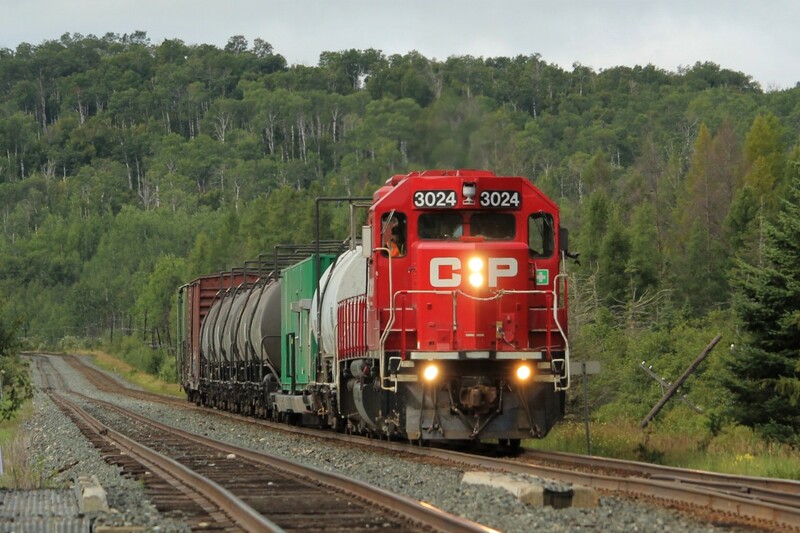 Railpictures.ca - James Knott Photo: Heard this CP spray train on the scanner while on a trip to Thunder Bay and ended up “chasing” it out of the city. Luckily for me, it was restricted to 15 MPH so the chase was a rather easy one using the Trans Canada Highway. | Railpictures.ca – Canadian Railway Photography – photographie ferroviaire Canadienne. Caption: Heard this CP spray train on the scanner while on a trip to Thunder Bay and ended up "chasing" it out of the city. Luckily for me, it was restricted to 15 MPH so the chase was a rather easy one using the Trans Canada Highway. 7303 in Fort White, Man. 7304 in Carrington, North Dakota. I did see a shot of it trailing behind 2325 on the spray train out in Golden in late June.